What do you get when you mix eastern philosophies, wrestling and martial arts and apply those ideals to the American style of baseball? Find out in this episode of AoB Experts with Matt Furey. Listen/ Watch Matt Furey as he shares his perspective on the ability to overcome genetics, pursue success on the mental of side of sports, and modeling those that are successful while not selling yourself short during your training and development! 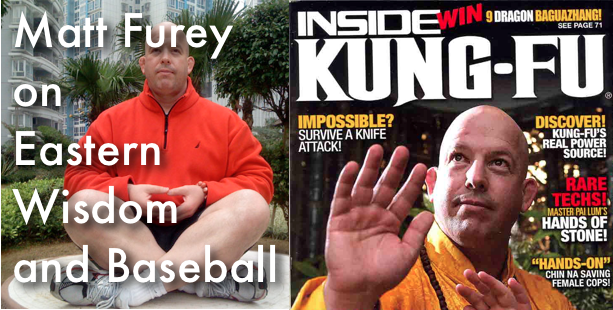 You’re your still looking for solid advice on the mental aspect of baseball you should definitly watch this interview with Matt Furey. My mentality? Who are the best people that are playing the game? We’re going to be like them. What did you think of this interview? Let me know what you liked about the interview in the comment box below. I love hearing your thoughts! Don’t forget to hit the LIKE button! Next post: One on one w/ Mental Toughness expert-Tom Hanson!